The Transformative Actions Program (TAP) emphasizes the inclusiveness of climate actions, a concept that can take many different forms. The TAP advocates that systems and decisions relating to climate finance include the voices and needs of cities and regions. In turn, governments at this level can transfer the spirit of inclusivity by engaging citizens in climate projects. The strength of these initiatives can, in part, be judged by the extent to which citizens are engaged. 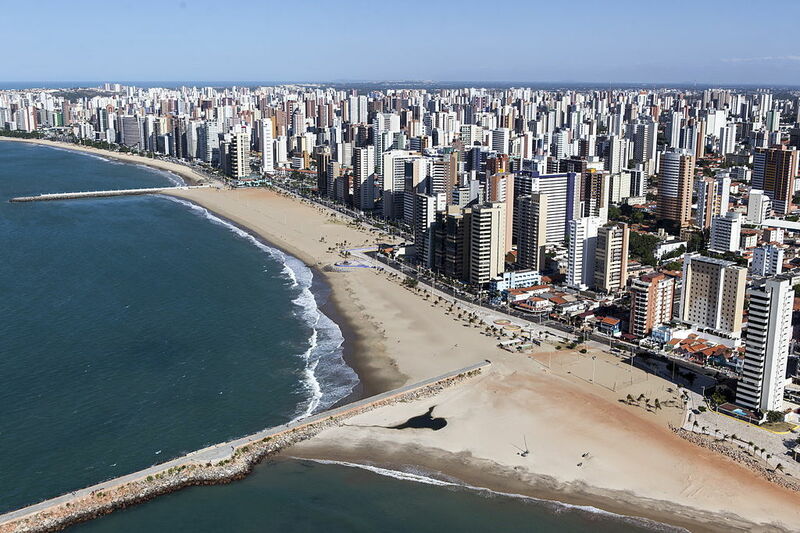 The City of Fortaleza is located in Northeast Brazil. It is the fifth largest city in the country, with a population of over 2.5 million. Located just below the equator, the average temperature in Fortaleza is around 27 degrees Celsius. To combat the urban heat island effect, the city has chosen urban forestry as a key strategy. Through its afforestation plan, the city aims to plant 200,000 trees, providing 15 m² of green space for every resident by 2030. This initiative will make the city more livable, while the new trees absorb CO2 emissions and reduce greenhouse gas emissions by 2,400 tons of CO2 equivalent by 2030. Fortaleza is also inviting citizens to influence the planning of green space in their city. All citizens will be able to suggest where trees should be planted and which species they want. The trees can be planted in public or private areas, from grassland and abandoned spaces to courtyards or the smallest of gardens. The areas will be chosen by the citizens, while the municipality provides seedlings or trees and technical support for planting. The government will also hold a series of public consultations, during which they will engage citizens in making these decisions. Citizens will also be able to contact the city directly, through a dedicated project website, by email or by telephone. Douala, the largest city in Cameroon, is placing a similar emphasis on citizen engagement in its plan for urban redevelopment. 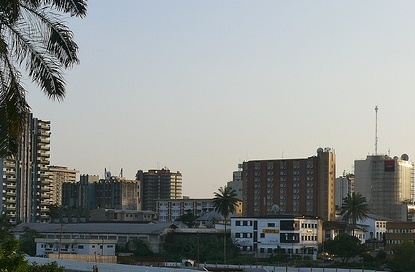 Douala is growing at a rate of 6% per year, and the neighborhoods targeted by the pilot phase of Douala’s project – Bonamouang and Makèpè Missokè – have a population density of 326 inhabitants per hectare. As the city grows, it becomes harder to provide water, electricity and sanitation for the poorest areas of the city. In addition, migrants to the city are creating informal settlements in high-risk locations, such as floodplains or on steep hillsides. With a lack of basic services and high hazard explosure, these settlements are particularly vulnerable to the impacts of climate change. Douala is therefore establishing a plan to redevelop and equip the poorest areas of the city, particularly with respect to the risk of flooding, which is exacerbated in Douala by a lack of adequate drainage. The city is taking the initiative to the next level by ensuring strong engagement with the population of the targeted areas. The African Network for Education on Sustainable Development (Réseau Africain pour l’Education au Développement Durable) has been engaged to lead outreach and education initiatives, helping the at-risk populations better understand the risks they face and how their knowledge can improve the city’s response . Following initial outreach, the city will construct consultation outposts, allowing citizens to identify the specific problems and contribute to the elaboration of solutions. These outposts will be in operation for the duration of the project and will work in close collaboration with neighborhood social action bureaus (Cellules de l’Action Sociale des Communes d’arrondissement). At the end of the project, the communities will be better protected from the risks of flooding and the consultation outposts will be transformed into Local Development Committees, which will together constitute a new Civil Society Organization. In this way, Douala will ensure long-term use of residents’ knowledge and input. As Douala also recognizes, citizens must be educated for their participation to be most impactful. In developing and developed countries alike, lack of climate change knowledge contributes to a lack of involvement. The City of Manchester, in northwest England, has established a collective climate change action plan with two aims: to reduce CO2 emissions by 41% by 2020, and to create a Low Carbon Culture, requiring that the population be first educated and then fully engaged. To take this initial step, Manchester has developed the Carbon Literacy Project, based on recognition that to combat climate change, we must change our behavior as well as our technology. The Carbon Literacy Project defines carbon literacy as “an awareness of the carbon dioxide costs and impacts of everyday activities, and the ability and motivation to reduce emissions, on an individual, community and organizational basis.” Working from this definition, the project enables citizens to access one day’s worth of climate change education, covering climate science, context and opportunities for action. With the support of 30 partner organizations, the project has established a Carbon Literacy Standard, offering a consistent measurement of community education. The training aims to guide audiences to this standard, equipping them with the tools and knowledge they need to act on climate change within their communities. In Chinese Taipei, Kaohsiung City, the second largest city in Chinese Taipei, is also capitalizing on the value of citizen education. Surveys by universities, government departments and non-governmental organizations (NGOs) indicate that the area has very high biodiversity. However, this richness is threatened by habitat loss, invasive species, overfishing, and climate change. Recognizing this biodiversity as a valuable asset and heritage, the city has taken steps to reverse this loss. Kaohsiung united various governmental departments in addressing biodiversity loss in a holistic fashion, while prioritizing citizen education. The city believes that the community will have a greater desire to contribute and take ownership of their natural heritage once it understands the problem. The Environmental Protection Bureau has signed an agreement with seven local NGOs to train communities in conducting ecological surveys. It has also promoted a mobile phone app – “Colorful Melody – Metropolitan Biodiversity Map” – that allows citizens to independently conduct ecological observations and upload voice recordings to a central database. Through this effort, the city not only receives valuable biodiversity data but establishes the foundation for building an ecologically-minded community. As these projects show, local governments around the world acknowledge that transformative happens with citizens as active participants rather than passive observers. While a local government can have a huge impact, it can never achieve as much as the entirety of its citizens, working together for a better future. Featured image (c) Governo Federal Brasileiro.